Most people desire a clear radiant complexion. Luckily, there are many natural products that can be used to achieve this. The benefits of using natural products are many because most have little or no side effects. A natural approach to skincare allows you to obtain the effects you desire without worrying about many of the harmful effects of the chemicals found in most commercial products. Lemon juice can be used on the complexion to lighten dark spots and improve the overall color and clarity of skin tone. It also can be used with other natural products to enhance the effects. Honey and lemon can be combined to form a mask and then applied to the face. This is a mask that can be applied anytime for a more radiant complexion. Yogurt & Honey can also be combined with lemon to make a mask to brighten the complexion. Oranges and lemons contain citric acid that has a brightening effect on the skin. The juice of an orange can sit on the skin for a few minutes and then be rinsed from the complexion. This usually reveals a lighter fresher complexion and can help to even out the skin tone. Citric acid effectively lightens the skin without irritating it and can be used to lighten dark spots. This reveals a more even complexion. Yogurt can be used on the complexion to improve skin tone and exfoliate dead skin cells. The active ingredient in yogurt is the lactic acid which has bleaching properties. Yogurt can gently lighten the complexion without creating irritation. It can also be easily used as a mask because of its thick consistency. 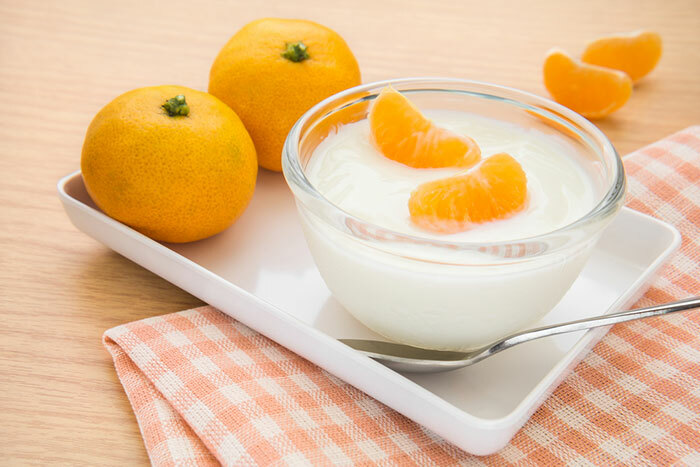 Yogurt can be combined with lemon to boost the brightening effects. Go a step further and combine lemon juice or the juice from an orange and yogurt to create a dramatic brightening mask. Citric acid lightens the skin without creating irritation and can be used as a spot treatment on dark marks. This treatment gently fades dark spots giving the complexion a more even appearance. These are just a few natural foods that can be used to create a fresher complexion. Your kitchen is filled with many foods that can create a more radiant complexion. The right foods boost your radiance and exfoliate dead skin cells to expose a brighter complexion. Best yet, you won’t need a fluidizer to achieve these results. Natural products allow you to safely and effectively beautify your complexion without having to deal with the harmful effects of commercial skin care products. Natural products can brighten the complexion, fade dark spots, and create a more even healthy glow.